Dakar - Nigeria has cooperated, deporting separatists including Julius Ayuk Tabe, a key leader, with diplomats saying it needs Cameroon’s help in fighting Islamist militant group Boko Haram, which plagues the neighbors’ common border up north. Britain and France have kept their distance, conscious of post-colonial rivalry pitting them against each other in African civil conflicts - as in Rwanda in the early 1990s when English-speaking Tutsi rebels battled Francophone Hutus. Most of the displaced are in Cameroon but more than 20 000 refugees have fled to Nigeria, which Cameroonian authorities have long feared could become a rear base for a guerrilla campaign. In October 2016 lawyers and teachers in English-speaking cities went on strike in protest at having to use French in schools and courtrooms. In the ensuing clashes, six protesters were killed and hundreds arrested, some of whom were put on trial for charges carrying long sentences or the death penalty. Thousands of Anglophones fled the ensuing crackdown, which Cameroon authorities said was necessary to restore peace and curb banditry. They described it as an anti-terrorist operation. A month later, separatists launched the first guerrilla attacks on security forces, killing four over a few days. Abuja accepted a 2002 International Court of Justice ruling that the disputed and oil-rich Bakassi peninsula, part of the Anglophone south-west, belonged to Cameroon, despite having come close to war over it several times. But Nigeria periodically grumbles about it. Clashes between insurgents fighting for a breakaway republic in Cameroon’s English-speaking region and security forces have killed scores of people and displaced tens of thousands more since the conflict intensified late last year. In the bloodiest incident to date, Cameroonian forces surrounded and killed more than two dozen suspected separatists in the town of Menka, in Cameroon’s Northwest Region, last weekend. Insurgents have abducted and killed soldiers and policemen in hit-and-run guerrilla raids. Cameroonian forces have responded with scorched earth tactics such as burning down villages then opening fire on fleeing residents, witnesses told Reuters in February. The army denies such accusations. The unrest threatens the stability of one of Africa’s larger economies ahead of October elections widely expected to extend 85-year-old President Paul Biya’s three and a half decades in power. It has hurt cocoa output and risks spilling into Nigeria. At the end of World War One, the League of Nations carved up Germany’s imperial possessions in Africa between allied victors, mostly Britain and France. Most of the German colony of Kamerun - a swathe of central Africa housing peoples speaking 250 languages - went to France. A small part went to Britain. At independence in 1960, English speakers were given the choice of remaining part of Cameroon or joining bigger neighbor Nigeria, a former British territory. They voted to stay with Cameroon, but have since felt increasingly marginalised by the French-speaking government in Yaounde hundreds of miles away. They say the best government jobs go to French speakers, and that education, roads and health in their western region are neglected, despite Cameroon having produced tens of thousands of barrels of oil a day since the 1970s, mostly in the south-west, an English-speaking region. 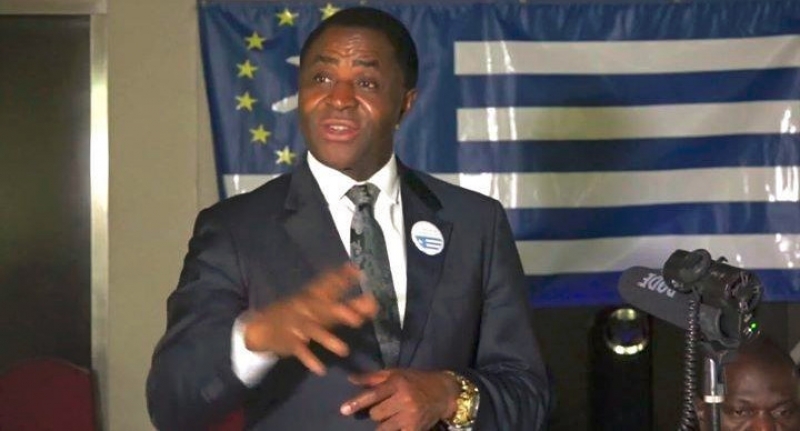 The Ambazonians have printed passports, designed a currency and a flag, composed a national anthem and set up a satellite TV station. Many of their most influential figures are in exile in Europe and the United States, however. They also have a vocal presence on social media, reflecting the Anglophone region’s reputation as an unlikely but successful tech hub, dubbed “Silicon Mountain”.